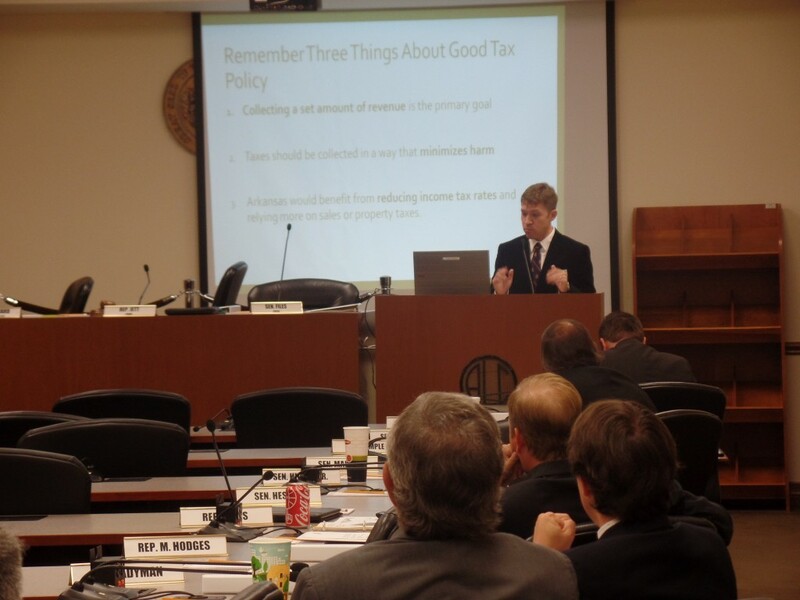 Two members of the ACRE team recently testified before two important committees of the Arkansas State Legislature. 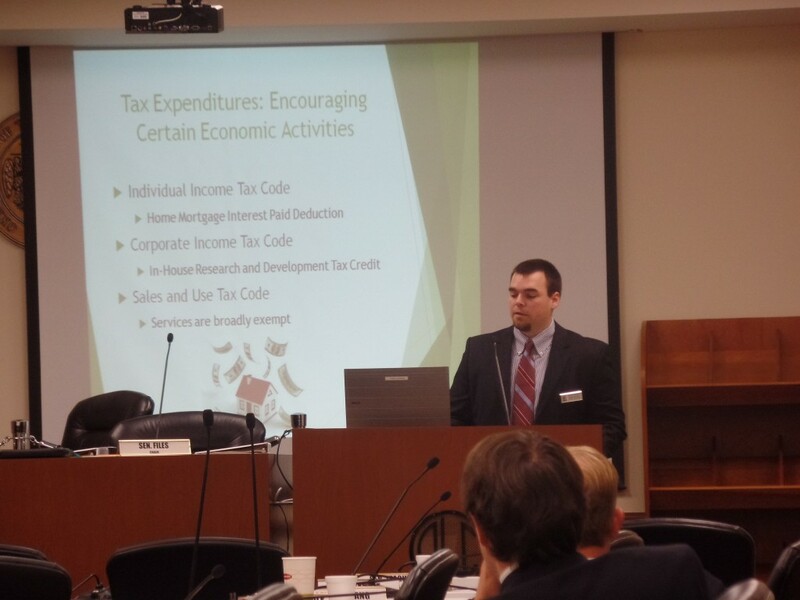 On September 20, 2016, Jacob Bundrick and Dr. Jeremy Horpedahl testified before a joint session of the House and Senate Committees on Revenue and Taxation. 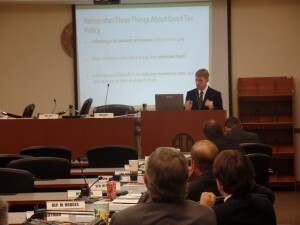 The purpose of their testimony was to help inform members of the legislature about the current academic research on tax policy and may relate to fundamental tax reform in Arkansas. Governor Hutchinson has publicly indicated that he is interested in ideas for reforming Arkansas’ tax system during the 2017 legislative session, and these committees are interested in what academic research has to say about tax reform. Since no specific bill was currently under consideration, this session was structured as an educational session to get input from local academics and national experts who study tax policy. Professor Philip Oliver from UALR’s Bowen Law School and Nicole Kaeding, an economist at the Tax Foundation, also testified at this joint committee meeting. You can view the full agenda of the committee meeting on the website of the Arkansas Legislature. ACRE is honored to have been asked to contribute to this important debate and looks forward to being a part of the conversation as Arkansas begins to discuss options for tax reform. Keep following our blog for future developments on this issue, including a major publication that ACRE researchers are currently working on along with national experts to be published later this fall.